The Wellington Control Tower controls all air movements across 30 million square kilometres of airspace across New Zealand and the Pacific, handling over 1 million air traffic movements a year. 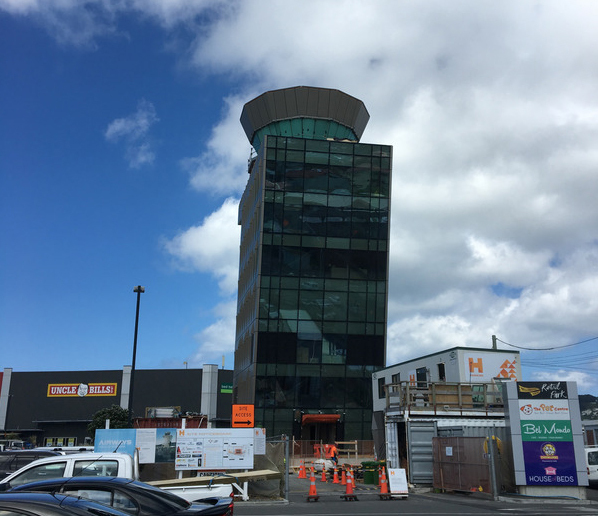 In 2017 Canny Surface Solutions were contracted by Woods Glass of Auckland to help complete the build of the new leaning Wellington Control Tower. 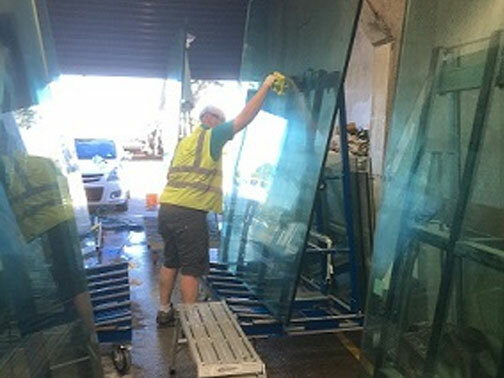 Despite the colossal size of the 16 panes of glass, the Clearshield treatment needed to be applied in one day, ready for installation. Chris Batie at Woods Glass handed over his entire factory to Cameron and his team for the day and once the treatment was completed the glass was lifted into position on the Control Tower. 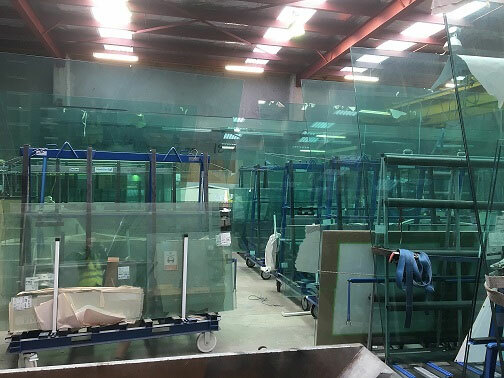 If you are needing your glass protected from Wellington’s harsh environment, then check our products or contact us today.